Only company administrators can create users in a company. Before starting this procedure, make sure required user profile is created. 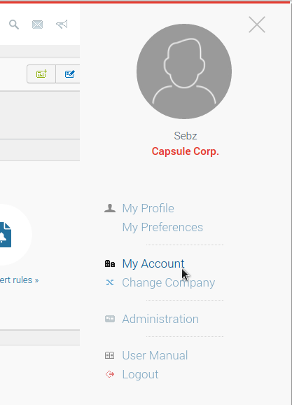 Click on User menu > My Account. 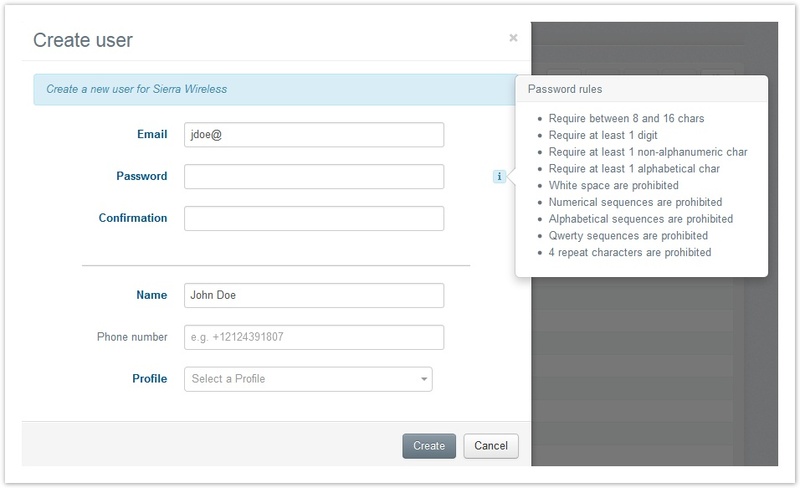 You can then communicate to the user his credentials so that he can log in to AirVantage. As an alternative, you can advise him to use the Forgot Password? link on the login page so that he can configure its own password.